Today marks the first day of Teacher/Staff Appreciation week. Even though we may thank our teachers and staff through out the year, let’s show them a bit more love and appreciation this week! Let’s not forget the bus drivers and the crossing guards as they have done a great job as well! Send a note or a card, to a teacher and a staff, to show them how much you and your child care. NHE/OV PTA Dinner Night & Karaoke Tonight (May 5) 5pm-10pm!! Eat out and sing with us this evening at El Golfo Restaurant tonight (8739 Flower Ave.) El Golfo will donate 20% of profits for the evening to New Hampshire Estates and Oak View Elementary Schools PTA. Please mention the PTA when you pay. The food is great, the service excellent and they are family friendly. NEW!! Monday is Karaoke night hosted by Luisa; she has over 30,000 songs in English and Spanish. We hope to see you there! 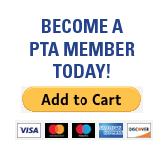 At the PTA Parent-Teacher Involvement Meeting Tuesday, May 6, 2014 (NHE 8720 Carroll Ave,) at 7:30 PM, all PTA members who have paid their dues for this current school year will get a chance to vote for the 2014-2015 Executive Leaders of the PTA… President, Vice President, Treasurer, etc. If you have not yet paid for your membership and would like to vote, you can do so the evening of our meeting.